Keep up to date on the latest news and information posted to RoofingContractor.com with our RSS feed. The Roofing Contractor Blog consists of blogs from editors Rick Damato and Chris King along with Al Levi and Michael Russo. 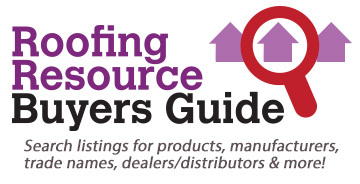 Take a look at various blogs to dive more into the Roofing Contractor world. A feed featuring all of the content for the International Roofing Expo. The Center for Environmental Innovation in Roofing is pleased to collaborate with Roofing Contractor to provide a monthly perspective about roofing and the environment. Sustainable Roofing is a monthly column written by Dr. Jim Hoff, who serves as Research Director for the Center for Environmental Innovation in Roofing, Washington, D.C. (www.roofingcenter.org). The column examines many aspects of roofing and sustainability, with a focus on how roofing contractors can become better equipped to participate and profit in the new green building market. 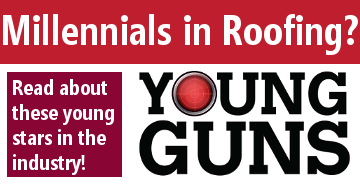 A bi-yearly installment that showcases successful, up-and-coming roofing contractors in their 20s and 30s (Millennials) who are making a mark on the industry. Brian Pratt of Roofing Risk Advisors gives advice on risk management. Kevin Kennedy, President of Beacon Exit Planning LLC, discusses how to successfully plan to exit your business.